Ithas become difficult to keep track of Turkey recently. In less than a month, four biggest mayors from Erdogan’s party were forced to resign. If we count the mayors that he appointed trustees upon, more than 33 million Turks are not being led by the mayors they elected. Turkey’s president has increased his slamming of the United States even though he was one of very few world leaders happy with the election of President Trump. Perhaps this is because Trump’s National Security Advisor, Mike Flynn, was lobbying on Turkey’s behalf during Trump’s campaign. So, why all this anger? Turkish Iranian businessman, Reza Zarrab, who is imprisoned in New York is awaiting trial on November 27. Erdogan is asking for his extradition, accusing Washington for wrongfully detaining him in prison and making him testify. As we learned this month Erdogan spent half of his time with Vice President Biden, while on visit in Istanbul, and two phone talks with President Obama to ask for Zarrab’s release. Moreover, Turkish Minister of Justice asked Loretta Lynch last year to release Zarrab. Author: Erdoan A. Shipoli holds a PhD in Political Science and International Relations. 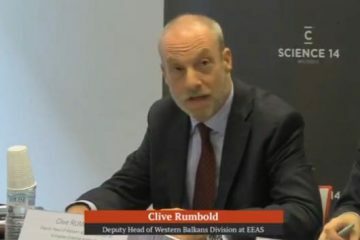 He is a visiting scholar at Georgetown University’s Center for Muslim Christian Understanding, and comments on security, religion, Balkans, Turkey, Europe, and America. Reza Zarrab is accused of laundering money for Iran, bypassing U.S. sanctions towards the country, and bribing Turkish officials, but the indictment states that he was not acting alone. The deputy CEO of Halk Bank was also imprisoned in New York as a co-conspirator. New York prosecutors also charged Zafer Caglayan, former Turkish Minister of Economy, for helping Zarrab cover up the gold trade with Iran and for taking bribes. 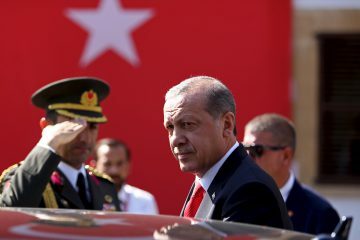 These allegations must have frightened Erdogan to the extent that he is committed to use any means to release Zarrab before the trial, including imprisoning Americans or Turks working for the U.S. diplomatic mission and use them as a bargaining tool. As desperate times need desperate measures, Erdogan is beginning to bully Europe and America. In an interview for Deutsche Welle early this year, I stated that Turkey sees the Balkans as a leverage to Europe, or, even as blackmail. His recent trip to Serbia showed this in discourse, where he used his platform with Serbian statesmen to slam America and send a message to Europe and America that Serbia, Turkey, and Russia are reproaching. His acts in Albania and Kosovo further show this in practice. A few weeks ago, an Albanian prosecutor arrested a Turkish citizen for being wanted by Turkey. He was sent to court for extradition to Turkey, but the judge decided to release him, pending trial and awaiting asylum. On Friday, Kosovo Police arrested another Turkish citizen, Ugur Toksoy, for being a follower of Gulen—which Erdogan has labeled a terrorist organization—and for taking part in the 2016 coup attempt. The judge in Prishtina decided on a 40-day custody awaiting decision for extradition to Turkey, although there was no evidence on any of these crimes, except for an arrest warrant from Turkey. The Interpol and the American authorities have decided not to process these warrants perhaps because neither the UN nor the EU and America have designated the Gulen movement as a terrorist organization or recognized any ties of the movement and the alleged coup. It is also evident that these people face violations of human rights, torture, and even death if they are extradited. Mr. Toksoy is accused of taking part in the July 15, 2016 coup, an allegation that his lawyer refuses on the basis that he hasn’t visited Turkey for the last three years. He is also accused of sending money to Turkey, while no evidence of a bank transfer or such transactions is presented. Mr. Toksoy refused all these allegations and called these accusations political. Turkey’s head prosecutor visited Kosovo earlier this month, asking for the capture of Erdogan’s dissidents in Kosovo, as reported by the local media. Moreover, Kosovo’s Minister of Foreign Affairs, Behgjet Pacolli, visited Ankara last week. In the end, Erdogan was not able to get what he wanted against his dissidents residing in Albania and Kosovo. As such, he has intensified his engagement in these two countries despite the fact that senior officials have not accepted his requests. He has instead decided to work with local prosecutors to try to capture any of the dissidents he can. Why? Because he will use this in domestic politics as a victory. 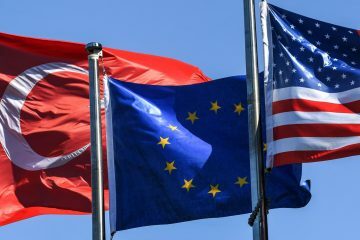 As is documented by recent Gallup polls, Albania and Kosovo are the most pro-Europe and pro-American countries in the region, so this would send a message to Europe and America that Erdogan can do anything he wants in Europe’s backyard. Turkish intelligence, together with their Pakistani counterparts, kidnapped the Turkish Kacmaz family from their home in Pakistan, and sent them to Turkey on a private jet that the Turkish government sent for this purpose. Their extradition to Turkey was announced as a great victory by the Turkish media, now owned by Erdogan and his people. An extradition or a kidnapping in the Balkans will be political suicide for those countries. 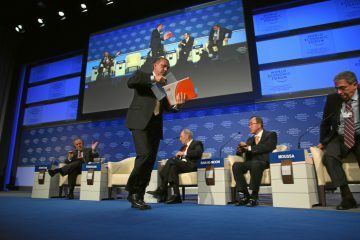 Albania and Kosovo in particular, should be very careful as the most pro-Western countries in the region. They should work within the framework of international law. Human Rights Watch and Amnesty International have reported violations of human rights and torture in Turkish prisons. Extraditing Erdogan’s dissidents on political charges will put these countries in a very tight spot together with Pakistan and Malaysia. The Balkans have been under American surveillance lately, with the Russian engagement in the region as well as the Russian meddling in American elections. The Turkish businessman that has hired Flynn to lobby for the extradition of Gulen, Ekim Alptekin, is the Albanian honorary consul in Adapazari and he has been in touch with Russian officials. Alptekin and Flynn are persons-of-interest in the Russia-meddling case. Reza Zarrab also holds a Macedonian passport. All these links, although loose, bring the Balkan countries into American focus, and if any official has conspired in anyway with Erdogan, they might be blacklisted. While waiting for the trial of Mr. Toksoy, Kosovo must stand up to this type of bullying if it wants to be taken seriously. The US stopped issuing visas to Turks and has filed charges against Erdogan’s bodyguards—who attacked protestors in Washington and New York—as well as his former minister of economy. Erdogan is bringing disaster upon Turkey. He should not be allowed to bring Kosovo, Albania, Macedonia, or any other Balkan country into that disaster solely to serve his interest in bullying Europe and America.